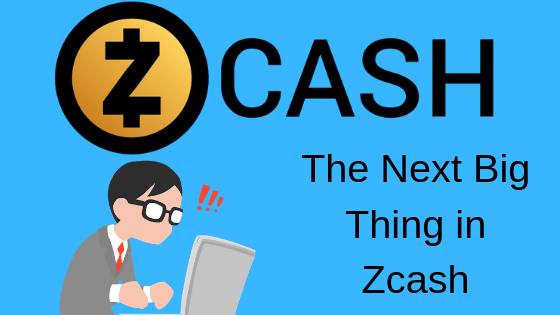 Zcash (ZEC) has been gaining a lot of prominence lately. While it might not be as popular as some of the other mainstream cryptocurrencies but it is certainly gaining more and more attention. The founder of Zcash (ZEC) is active these days on social media. That is why; you often hear more about it. Recently, Zcash (ZEC) parent company changed the name to Electric Coin Company. While it might not matter much fundamentally but the news was well received by the markets nevertheless. According to the CEO, it will take them a long time to execute all the features which they are looking to integrate into Zcash (ZEC). We also mentioned that it could take up to 5 years more to integrate all of those features. According to the CEO, most of the focus of the company up until now has been on privacy. Zcash (ZEC) is a blockchain which offers you private as well as transparent transactions. The choice is entirely up to the user. That is why it has been more versatile as compared to Monero (XMR). The launch of Zcash (ZEC) was in 2016. Ever since then, it has been providing encrypted and privacy-enhancing transactions to the users of the blockchain. The CEO claimed that now is the time to focus on the other aspects of the blockchain as well. According to the CEO, there needs to be a proper central hub for various Zcash (ZEC) activities. They are working on developing such a central hub for services using its blockchain. When that happens, the traction which Zcash (ZEC) can get will be enormous as well. At the same time, it will open up new possibilities in the world of mobile applications as well. With private transactions and scalable blockchain, developers will be able to utilize the blockchain fully. It will also ensure that it gains a lot of prominence and even the usability of the blockchain increases significantly. The CEO further added that all of these changes would be passed through the proper approval process. The approval process is known as Zcash Improvement Proposal. The community will vote and then, appropriate steps will be taken to incorporate these functions. Thus, the next big thing in Zcash (ZEC) seems to be a hub through which various applications of the blockchain will be integrated. However, the CEO clearly stated that it might take quite some time to execute that vision. Up until now, the smaller developments will be made to make the blockchain not only more private but also more robust.